When you’re looking for something refined, elegant and a little different, opt for the Abbie arrangement. 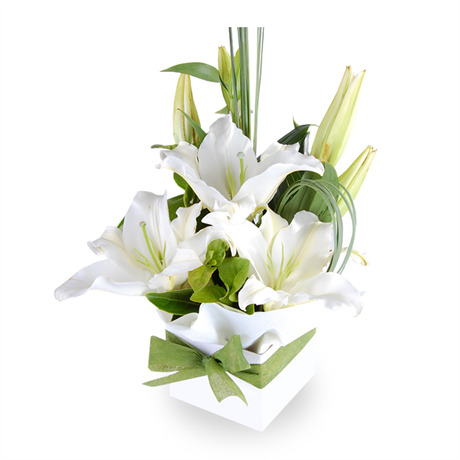 A small posy box filled with snowy white Oriental lilies heralding their fragrance, these large star shaped flowers are set against lush foliage and are guaranteed to elicit happiness. Intensely fragrant, the heady aroma of these blooms has been used in perfume for centuries, and would be make a beautiful addition to the home or office of your lucky recipient.